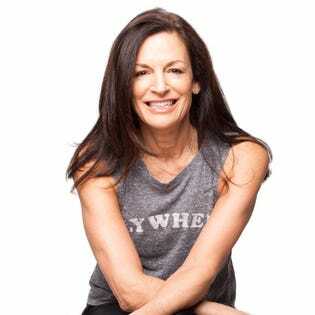 It’s easy to look at successful entrepreneurs like Ruth Zukerman, co-founder of immensely popular spin studios SoulCycle and Flywheel, and assume their paths unfolded effortlessly before them. As if they were born with a passion in their hearts and no obstacle big enough to get in their way. In reality, the journey for most of these business leaders is anything but effortless. As many industry veterans know, it often takes years—or even decades—to uncover that secret spark that makes you tick emotionally, personally and professionally. Ruth is a spectacular example of a determined, driven woman whose life has followed several diverging roads that often ended in frustration and heartache. Still, she never let her past dictate her future. She knew that as long as she continued pedaling toward what she loved, her life’s great purpose would be waiting at the finish line. Growing up in Roslyn, New York, Ruth’s first passion was dancing. Determined to become a professional dancer, she moved to New York City after college with the assumption that drive and talent would be her ticket to success. But in the ultra-competitive world of dance—with thousands aspiring for the same nearly impossible dream—her hopes were eventually dashed. After years of self-esteem crushing auditions, she realized this wasn’t the path for her. When it became clear that a future in dance was out of the picture, Ruth decided it was time to reinvent herself. She married her now ex-husband, whom, at the time was “ambitious, protective and controlling”. But the decision wasn’t easy. After getting divorced, Ruth was a single mom with two young girls in New York City—she needed to make a living. Using her background in dance, she initially began working as an aerobics instructor at the Reebok Sports Club (now an Equinox) on the Upper West Side. It was there that she had her first glimpse into spinning. Soon, she was teaching classes herself. She noticed the impact that thinking positively and acknowledging everyday struggles had on her own spinning experience and began using those concepts to motivate her students. Though she never directly referenced her personal conflicts––which she believes are “universal experiences”––in class, she tapped into those emotions and shared them in more subtle ways. Her words of encouragement became “pseudo-therapeutic”, and classes evolved into therapy sessions of their own. Riders were coming up to her after class expressing gratitude for turning an exercise class into something much more. She knew she’d hit upon something special. Now it was time to take charge of her own destiny. Every business-minded person knows success doesn’t happen overnight. The light bulb may have already gone off in Ruth’s head for a spin-centric, empowering studio, but she needed to carefully examine how to make this dream a reality. She was already mindful of what made her students happy, but she now began diligently planning a better overall business model. With a more business-conscious mindset, she regularly thought “how can this experience be improved upon? I started to see what appealed to people and what resonated.” Her new mission was about more than just creating better classes—she wanted to build a more holistic brand with a significant emphasis on the customer. One major observation was that “riders get very attached [to their instructors].” They seek out classes taught by their favorites and treat them as inspiring role models and leaders—instead of a faceless employee telling them to pedal harder. These were real human relationships, and Ruth wanted to bring these connections front and center. Soon, she was regularly meeting with one of the women who would become a fellow SoulCycle co-founder and scribbling ideas down on napkins. They knew they wanted to develop an upscale company with the rider firmly in the spotlight. Every interaction should make the customer feel acknowledged and filled with confidence. Eventually, it was time to make the leap. In 2006, she left her job at Reebok Sports Club and set up the first SoulCycle studio in a dingy “hole-in-the-wall.” To make this transition and new business model work, she had to convince her entire class to join her on this venture. Without them, there was little hope for attracting a following. This culture of care was about more than evoking positive, uplifting feelings—it also echoed a strategic business decision. “You’re asking people to spend money or leave somewhere they’re comfortable to come to you,” says Ruth. SoulCycle had to be a something “people were willing to pay for.” This concept clearly worked, as riders were more than happy to pay premium prices for this premium experience. SoulCycle had become a true success. Unfortunately, the honeymoon period was short-lived. To this day, Ruth expects loyalty and trust as an important aspect of her relationships, sometimes to a fault. As a result, Ruth started SoulCycle without much legal protection. She wrongly assumed that she and her partners could work out any problems that arose, even as the company began to grow. “I’m extremely trusting. I didn’t have any loyalty growing up,” Ruth says. She never anticipated the administrative and legal challenges of a booming business, but problems regarding responsibilities, management and finances quickly began piling up. Her once perfect partnerships began to disintegrate. Looking back, she wishes she was better at legally protecting herself and getting everything in writing—including clear roles and expectations—but at this point, it was too late. Ruth would not remain as an owner, but she stayed on the team as an employee for the next two years. She calls this time at SoulCycle “nothing short of excruciating.” Despite her daily struggles, the ever-loyal Ruth stayed because “I didn’t want to abandon [my riders]. I couldn’t imagine leaving them and leaving our experience.” And after finally finding your passion and immense success in the industry—what could possibly come next? Although she may have given up on her spinning studio dream at earlier times in her life, Ruth now knew how to persevere. She compiled the best ideas she had for growing SoulCycle and used them to instead build Flywheel Sports which she launched in 2010. Ruth and partners Jay Galuzzo and David Seldin joined together with clear expectations, mutual respect and the drive to learn from past mistakes. With an emphasis on technology that lets riders race, track metrics and more, Flywheel evolved SoulCycle’s intimate, nearly spiritual vibe into a new ultra-competitive, stadium-style alternative. Flywheel was an instant success, although that isn’t to say it didn’t have hiccups as well. Once the task was finally complete, they made a stomach-turning realization. “They were all assembled incorrectly … so we had to hire people to come in, disassemble them and put them back together.” They put in all that work for nothing but a cold. Despite the frustrations that face many young companies, Flywheel’s tenacity, team members and vision made its success nearly inevitable. Today, there are 42 Flywheel studios nationwide. Building on the wisdom gained from her past experiences, Ruth has learned both how to be a strong leader and create an incredible culture for her employees and clientele. She was driven to “really make the class about the riders,” rather than the instructors. She’s also made strides on the business side of running an elite studio. For example, after a period where she “tried to wear different hats” outside of her realm of expertise, she learned to accept her weaknesses and instead confidently focus on her strengths. She now happily delegates those roles to others better suited for the challenge. Divorce. Disappointment. Betrayal. Conflict. Despite every roadblock, Ruth has persevered and blazed her own trail to happiness and incredible business achievements. She’s even channeled the wisdom she’s gained through her ups and downs into her memoir, RIDING HIGH: How I Kissed SoulCycle Goodbye, CoFounded Flywheel and Built the Life I Always Wanted, published in October 2018. Now Ruth looks towards a future brighter than ever. She’s an industry influencer who’s not only defied the odds and achieved monumental success, but also discovered her true purpose along the way. Perhaps no moment encapsulated the pride of her accomplishments more than receiving an invite to the White House Christmas Party. After meeting Barack Obama, Ruth found herself wandering through the historic hallways when the realization hit her—she was actually roaming alone in the White House. Want to hear more from my chat with Ruth Zukerman? Learn more about her complicated family dynamics, her launch of SoulCycle and Flywheel and her new memoir. Listen to the entire conversation on this week’s donothing podcast.